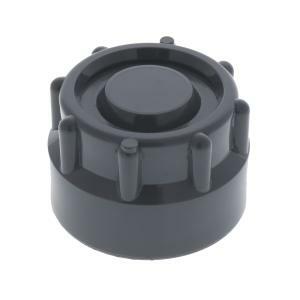 Gray Schedule 40 PVC 1" FPT End Cap for closing the end of the multi-outlet manifold unit. Fittings have nitril rubber O-rings so no pipe dope or teflon tape is needed. Hand tighten only.